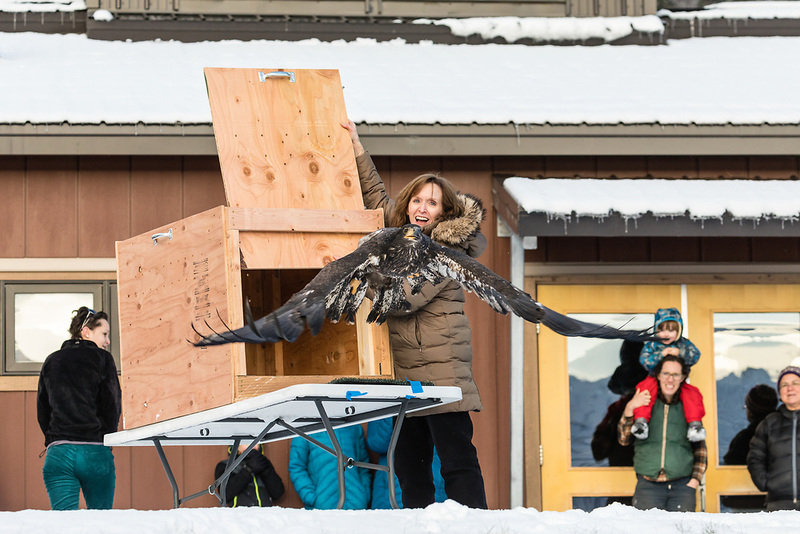 Rehabilitated juvenile Bald Eagle (Haliaeetus leucocephalus) is released to the wild in the Chilkat Bald Eagle Preserve in Southeast Alaska. Winter. Afternoon.